The bristles are made of synthetic (nylon) material. It has a built-in swivel that enables you to angle the head 90 degrees for cleaning ledges and the tops of door and window frames. 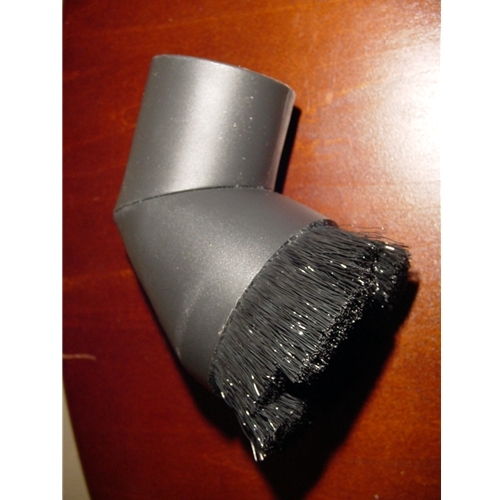 The 1 inch nylon bristles create a 2 inch outside diameter circle.